Evangelicals make up a significant number of supporters for TRUMPEE ZERO and most of that support is due to the False Book of Revelation. For the last 100 plus years there has been this End of the World Apocalyptic Book of Revelation conversation that has brought people and money into these Evangelical Churches. Doom and Gloom sells. Jesus was born, was crucified, died, was resurrected 3 days later. I always believed that and the Shroud of Turin and Sudarium (Facecloth)of Oviedo are the scientific, verified evidence of the resurrection. Yes! Do the research. They are the real thing. Jesus was a real person and he was crucified to the death and then he was resurrected. The Resurrection was the second coming if you will. Jesus said "I am with you always" and "where two or more are gathered, I am there." No minister will say that Jesus is not present at his service. Yet some talk about a Second Coming. This is illogical nonsense. Jesus is present or he is not. Jesus cannot return if he never left after the resurrection. You cannot promote both scenarios in a serious conversation. Further Jesus said no one knows the time of the End except God. The Book of Revelation tries to pinpoint that time. But without the time you dont know the political events that will be in play making the Book of Revelation nonsense. The Book of Revelation was written by a disciple of John the Apostle, John the Elder, on the Isle of Patmos which used the sacred mushroom to bring on visions. Bottom line, Evangelicals want to bring on the Apocalypse so they can go to heaven sooner rather than later with the Rapture and all. But remember God said after the flood he would never wipe out humanity again. The Book of Revelation just appoints a bigger crowd to survive than just Noah and his family in the flood. NO more end of the world so Book of Revelation is False. Again there is a contradiction between Genisis and Revelation and the Book of Revelation is False. God said he would multiply the Jews, progeny of Isaac, Abraham’s second born to the level of stars in the sky. God has never done that. Ancient anachronistic cult of the Zionist are 15 million in the world human society. Christians are 2 billion. Christianity was launched out of Judaism. The Jews crucified Jesus the Messiah but the Jews who became Christians and the gentiles recruited by Paul took over from the Jews as the Chosen People of God. The Christians are the direct lineage of the Judaism. (Don’t confuse the semitic race with religionists). The Bible is about religion not race. If it was about race only Jews could be Christians. We know that is nonsense. The Jews apply this phrase Chosen People a lot to themselves but the Truth is that the Christians are the Chosen People of God. Look at the success of Christian America. A Christian nation. Look at the Zionist and Israel a postage stamp nation of religion zealots who are arrogant elitists and exclusionary of non Jews. The Jews were disbursed by the Romans in 70 AD after the brought about the crucifixion of Jesus. The Muslims were given Israel by God in 632 CE and they have kept it since; with the exception of 100 years during the First Crusade but the Muslims took it back. God said the progeny of Ismael would be countless. the Muslims are 1 billion plus in number. On the Temple Mount now are the Muslim shrines, the Dome of the Rock and El Aqsa Mosque. The Temple of Solomon was swept away. So looking back 2000 years you see God abondoning the Jews giving the Muslims control of the old Israel and the Christians the blessings of being his Chosen People through faith in Jesus Christ the Messiah. This is the historical factual reality. And we also have that business about the Jewish Holocaust which does not indicate God’s favor 2000 years after the crucifixion of Christ. My take on the Holocaust is that it was God's last attempt to let the Jews redeem themselves for crucifying the Messiah God sent to them. They were to become RABID opponents globally of genocide. Instead they just cried and complained about the Jewish genocide by of Hitler and the Nazis. And the Zionist set up their own concentration camp for 2 million Palestinians in Gaza. They have created an apartheid state on its way to bringing about an Iran like Theocracy of Jews for the Jews in Israel. It is the ancient anachronistic cult of the Zionist. So the bottom line is that the Christians and the Evangelicals who are a faction of the present Chosen People seem to want to give their status back to the Zionists which is obvious to a blind man against God’s will. The reason the Evangelicals want to abdicate their Chosen People designation is because they think, per the False Book of Revelation that when the Zionist take over Jerusalem and the Temple Mount, scape off the Muslim shrines and rebuild the Temple of Solomon Jesus will come and all the Jews who don’t convert are going to Hell. So the Evangelicals support the Jews to bring on the Second Coming which then in turn terminates the Jews. Pretty convoluted. Yes it is CRAZY EVANGELICAL FALSE LOGIC. BOTTOM LINE, undermine the false Book of Revelation by showing the Evangelicals their wrong headedness, they abandon the Book of Revelation and accept that Jesus is already here which they already believe and that they are the Chosen People and they dont need Trump to hand over Jerusalem to the Jews and somehow move the Muslims off the Temple Mount. If they dont need Trump Zero, they abandon Trump Zero. Also, you see there was a miracle when God brought Muhammed on the scene and fulfilled his promise to Hagar Ismael’s mother and other wife of Abraham that Ismael’s progeny would be countless. They presently number us 1 billion Muslims. There was another miracle when Constantine saw the cross at the battle of Milvian Bridge in312 He won the battle and stopped the persecution of the Christians. Within about 100 years Christianity replaced the paganism of the Romans and made Europe and eventually America Christian. The point is that the Jews taking over their postage stamp country was an administrative act of Harry Truman. Not an act of God. No miracle as with God giving Israel to Islam and converting Constantine to Christianity. So that is my last point about the Jews having been abandoned by God. The good thing about this factual reality over the last 2000 years is that the Christians quit thinking Jesus is going to return from the sky, an event no one would believe even if it happened, it would be classified as FAKE news, and released the idea that the world is going to be made perfect by Jesus who has always been active on earth since his resurrection just as he said he would be. Therefore the Christians better quit ignoring Climate Change and other bad acts. They need to stop believing they can worship money and stop turning the Garden of Eden into a desert. Jesus is not going to select some good Christians in a Rapture. Jesus said ALL fall short. And then there is the reality that this dreamscape is a duality in constant conflict. If Jesus were to create peace he would turn all humans into stone so they could not interact. That is the only perfect peace future for Christians and their Book of Revelation. You see this logical linear factual history will become apparent very soon and then we will have the end of Trump Zero. The factual historical truth is undeniable and the world human society will be uplifted as it moves out of the age of Pisces which is about religion and spirituality, transcendence, prophecies and prophets, drugs, illusion, imprisonment, and fear and moves into the age of Aquarius which is about genius and science, revolution, brotherhood, utopian ideals, immortality, and world culture. There are so many factors that the Christians who believe in the false Book of Revelation ignore. I agree that Trump Zero is a catalyst. You have to admit the whole of American society is engaged in an intense debate about the acts of Trump Zero. Everyone is re-evaluating what they believe about America and American Politics and their religious beliefs and how they integrate with their political views. Great change is coming. You can find more about religion on my website http://KingofKingsLordofLords.com and my site http://TheThirdMillenniumSecondReformationofChristianity.com which is more on point. This second site pulls from all my other sites for an overall view of the Second Reformation of Christianity that is happening now. There will be a further adjustment to the last Reformation by Martin Luther which created Protestantism but got off track with Evangelicals and their focus on the False Book of Revelation that Martin Luther considered not translating, and the rapid technological advancement of he world human society. So I am further refining Martin Luther's adjustment to Catholicism. Religion is an evolving thing and always has been. Judaism to Christianity to Mormonism, Judaism to Islam to the Bahais. Hinduism to Buddhism to Tibetan Buddhism and Buddhism with the addition of Taoism we have Zen Buddhism which is the no religion religion and probably the closest to pure spirituality inside a religious bureaucratic organization. Once you eliminate the Book of Revelation you spread out to the global religious mentality and connect all the dots (religions) to Christianity which will incorporate the others within the century. Why because the real true foundational message of Jesus is "Ask and receive, seek and find, knock and enter, if you have the faith of a mustard seed you can move mountains, if you believe in me you can do the works that I do" meaning we write our own scripts, everyone can have what they want, which is really what Quantum Physics is about and where religion and science will merge in this century. But for now we have to process and then get rid of TRUMPEE ZERO before we can move on. Once he has served his purpose he will become irrelevant and America will rebuild but in a joint compromise of what America will be in the future. For those of you whose head exploded reading the above, SORRY. Where Trump Zero and Zuckerberg and Jobs and Gates and Bezos devoted their adult lives to bringing on the internet and the pursuit of insane amounts of wealth which they will lose at death in a decade or so, I have put twice as much effort as they into making sense of out religion, spiritiuality since I was 8 years old and I have rejected any semblance of wealth above food, clothing and shelter. When Jesus died, the veil that closed off the Holy of Holies was rent in two. That has been interpreted to mean that God removed his presence from the Zionist. He left Israel. 40 years later the Temple of Solomon was razed by the Romans and the Jews disbursed out of Israel. Backing up. Abraham had two sons. Ismael and Isaac. Ismael was the first born. God told Sarah the mother of Isaac and Hagar the mother of Ismael that the progeny of their sons would be without number through two different metaphors. So the present day Judaism is the dead branch and Christianity is the live branch of the old Judaism. Through Jesus, the Christian form of Judaism became the main branch of Judaism. Remember the promise to Sarah and Hagar? The progeny of Isaac and Ismael would both be without number. The pre-eminent Christian nation is America. Jesus said, “Do unto others as you would have done unto you”. The foundation of America is “All men are created equal under the law” These two things are the same. America is the New Jerusalem. America is a nation where all races, all nationalities, all religions live in peace. The only nation in the world like that. America is the light of the world. America is proof that the whole world can live in peace if they embrace an all-inclusive democracy as opposed to the elite exclusionary mindsets of all religions, all nations, and all races. 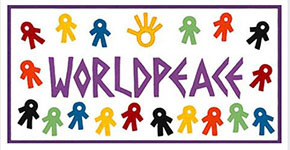 My signature statement: “How can we manifest peace on earth if we do not include everyone (all races, all religions, all nationalities, and all genders) in our vision of peace? Right now we have Christian Nationalism that claims to promote God’s agenda by supporting a president that is breaking God’s laws. The Zionist treatment of the Muslims is a repeat of the story of Cain and Abel. With the Jews being Cain and the Muslims being Abel. Both are Semitic people. They are half brothers by virtue of having one father Abraham. The Jews acuse the world of being anti-Semitic but there are no greater and more vicious anti-Semitic people than the Jews in their treatment of the Palestinians. The meaning of these wordsof Jesus is that there will be no Second Coming because Jesus never left. Is there any Christian who believes Jesus Christ is not present in the world? The Book of Revelation is a book of prophecy written in 100 CE by John the Elder and not written or spoken byJesus Christ. What Jesus says is the truth.What others say is speculation. Based on what Jesus said, ALLthe dates and sequences of eventsand all modern day interpretaionsby modern day prophets and preachers about the Book of Revelation are arrogant nonsense. The doom and gloompreached by these people is for their self aggrandizement and power and accumulation of personal wealth.